In Wisconsin, about 77,000 people are expected to lose Medicaid and will have to purchase coverage through private exchanges. These include 38,067 people between 101 percent and 133 percent of the federal poverty level, and 35,781 people between 134 percent and 200 percent, according to figures provided by the state. In Minnesota, an estimated 35,000 childless adults whose incomes fall between 75 and 133 percent of poverty are expected to be newly eligible for Medical Assistance, the state’s Medicaid program. In addition, 85,000 children and parents will move to the full Medicaid program from MinnesotaCare. MinnesotaCare is another health care program funded by federal Medicaid, state funds and premiums paid by its low-income subscribers. The federal poverty level is $11,490 a year for an individual, $15,510 for a family of two and $23,550 a year for a family of four. The Wisconsin changes mean some residents here will soon be required to pay for their coverage while Minnesotans in the same income brackets will be moving onto Medicaid. Medicaid plans are often free to recipients, with the costs split between states and the federal government. The enrollment transition in Wisconsin, originally planned for Jan. 1, has been pushed back to April 1. Currently, Wisconsin offers Medicaid coverage to a broader swath of the population than does Minnesota. Wisconsin’s Medicaid program, known as BadgerCare, covered adults up to 200 percent of the federal poverty level. But long waiting lists meant that many eligible childless adults were not getting coverage at all. Wisconsin’s changes mean that an estimated 83,000 childless adults will be newly able to get coverage through BadgerCare. This change, too, will be pushed back to April 1. Minnesota, meanwhile, had much lower coverage levels but was providing Medicaid to most of those who qualified. Minnesota has also been covering individuals above 200 percent of the poverty level on a Medicaid program called MinnesotaCare, which charges some premiums. That level will drop to 200 percent of the federal poverty level next year. Under the Affordable Care Act, both states are adopting new rules regarding Medicaid coverage. Both decisions, steeped in politics, will have profound consequences for tens of thousands of people. Minnesota and Wisconsin, while similar demographically, have taken different paths in line with each state’s ruling political party. 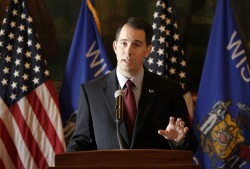 Wisconsin policies veer to the right, under Republican Gov. Scott Walker and GOP majorities in the state Senate and Assembly. Minnesota, under Gov. Mark Dayton, of the Democratic-Farmer-Labor Party, and Democratic majorities in both houses of the legislature, has veered to the left. Minnesota chose to establish its own health exchange, MNsure, to serve as a one-stop marketplace for consumers to shop for and compare health insurance options. Wisconsin opted to use the federal exchange. The two states also took different approaches in providing health insurance for those just above the poverty line. 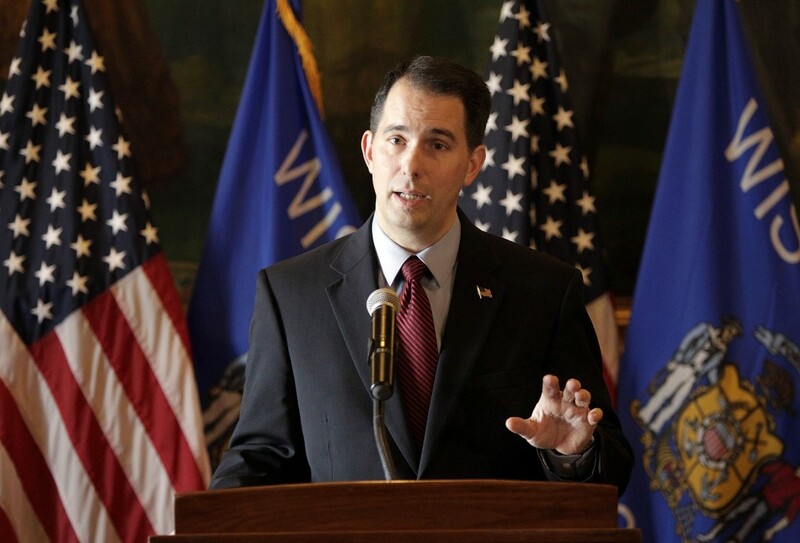 Walker, much to the dismay of state Democrats, decided to forgo $119 million in federal funds to expand Medicaid. Instead, he wants to move some of those who had been receiving BadgerCare to the federal health care exchanges, and use the savings to provide coverage to childless adults up to 100 percent of the poverty level. In an interview with the Wisconsin Center for Investigative Journalism, Walker said he tried to avoid the two routes taken by most states: accepting the federal expansion at the risk of a future expense to the state or rejecting the federal funds and leaving many residents uninsured. The number of Wisconsin parents, children and childless adults who receive Medicaid coverage under BadgerCare will go up slightly next year, to about 800,000 people. This figure does not include the Medicaid coverage for the blind, elderly and disabled, which will not change. 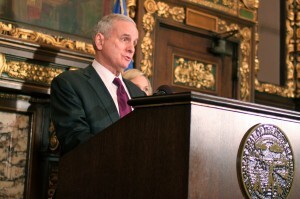 In Minnesota, Dayton accepted federal funding to expand Medicaid to raise the state’s coverage threshold to 133 percent. The Minnesota Department of Human Services estimates 880,000 people will be in the program in 2015, as well as 145,000 MinnesotaCare enrollees. 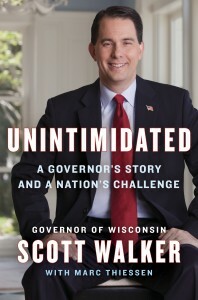 In Wisconsin, Walker declined the Medicaid expansion along with more than 20 other Republican governors in states such as Indiana, Alabama and Maine. Of those states, Wisconsin is the only one “that will not have a gap in health care coverage after April 1, 2014,” wrote Claire Smith, spokeswoman for the Wisconsin Department of Health Services, in an email. Walker delayed implementation of the changes from Jan. 1 to April 1 because of the mess he said the Obama administration had made of its health care roll-out. “I’m not going to let the failure of the federal government let people fall through the cracks,” Walker said in announcing the delay. 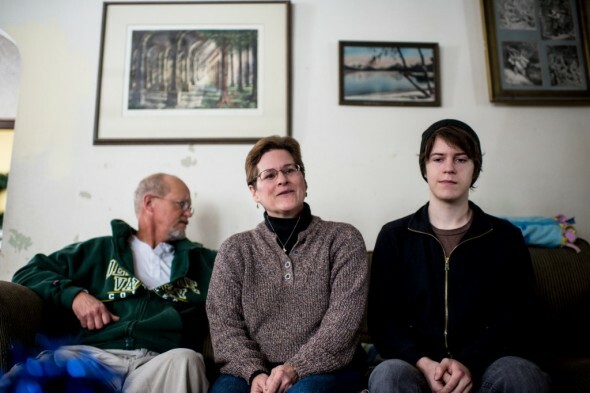 But the delay comes at a cost for others: The estimated 83,000 childless adults at or below the poverty line who are expected to be newly eligible for Medicaid coverage in Wisconsin must also wait until April 1. The delay has caused howls of protests from state Democrats. “This is shameful!” shouted Assembly Minority Leader Peter Barca, D-Kenosha, as the delays were passed. But Republicans blamed the delay on the federal government for not having the health care exchanges ready in time. According to a Legislative Fiscal Bureau report, Wisconsin will save $23 million by keeping most childless adults off for three more months while continuing to cover people above 100 percent of poverty. At a University of Wisconsin multi-campus webinar on the Affordable Care Act in November, Wisconsin Medicaid Director Brett Davis was asked about the people who are facing difficult transitions because of the state’s health-care choices. In Minnesota, Dayton moved quickly after taking office in January 2011. 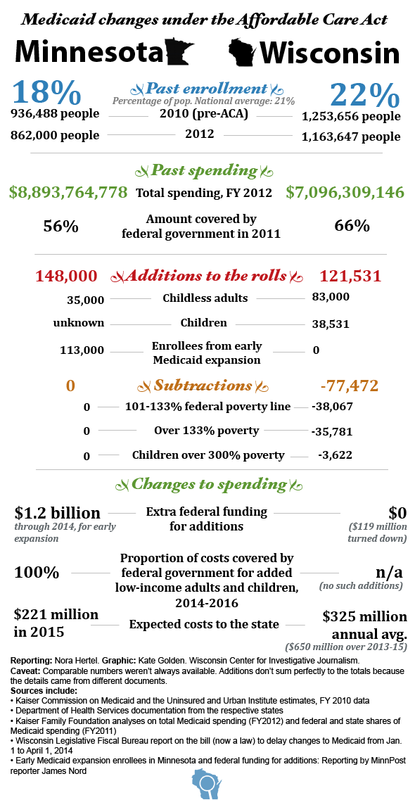 In his first act in office, he expanded Medicaid eligibility, adding childless adults with incomes of up to 75 percent of the poverty level. “That was a huge deal,” said Jeremy Drucker, a spokesman for the Minnesota Department of Human Services. 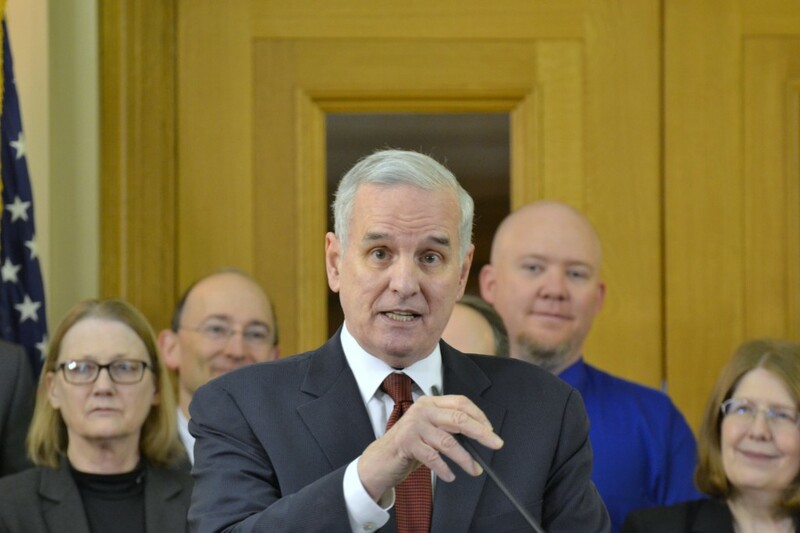 Dayton made Minnesota one of the first states to move forward with the early Medicaid opt-in. The Department of Human Services said the early Medicaid opt-in will have attracted $1.2 billion in federal aid through early 2014. Those funds represent the typical 50 percent federal Medicaid funding match. The funding, however, will bump up to 100 percent next year for newly eligible childless adults. The full expansion of Medicaid, known as Medical Assistance in Minnesota, is expected to save the state about $117 million over the next two years. “Minnesota’s doing the right thing and saying, ‘Look, the feds are paying us to give Medicaid coverage to guys below 133 [percent of poverty] – let’s do it,’ ” said Jonathan Gruber, an MIT economist who assisted planning for MNsure and helped design the Affordable Care Act. Gruber said he had fewer concerns about the population between 133 percent and 200 percent of the federal poverty level, which is losing coverage in Wisconsin but will be covered in Minnesota under MinnesotaCare/Basic Health Program. Cost of insurance 44% lower in Minnesota due to Obamacare. Editor’s note: This story is a collaboration between the Wisconsin Center for Investigative Journalism and MinnPost. The project was supported by The Joyce Foundation. Nora G. Hertel is a reporter for the Wisconsin Center for Investigative Journalism, www.wisconsinwatch.org. The Center collaborates with Wisconsin Public Radio, Wisconsin Public Television, other news media and the UW-Madison School of Journalism and Mass Communication. All works created, published, posted or disseminated by the Center do not necessarily reflect the views or opinions of UW-Madison or any of its affiliates. James Nord is a reporter for MinnPost, www.minnpost.com, a nonprofit, nonpartisan news site whose mission is to provide high-quality journalism for news-intense people who care about Minnesota. Click here to see MinnPost’s version of this project. Whinning will get you nowhere ! When the one time Medicaid payment from the federal government runs out who will foot the bill? Does the state of Minnesota have a plan to cover those costs when the monies are no longer coming in? Chuck, the Feds will pick up 100% of the added Medicaid cost through 2016, after that the Federal share will ramp down somewhat, but will NEVER be less than 90% for any future year. In other words, once the Federal share drops to 90%, Minnesota will pay 10% of its added $1.2 billion (assuming enrollment levels don’t change). Minnesota will pay only $120 million for an extra $1,200 million added to their state’s economy. It seems like a win-win for everybody in Minnesota. Tom D, they really arn’t adding any money to their economy that Wisconsin is not partaking in as well. The difference is instead of the individuals without children being paid for through expansion of badgercare, they are joining badgercare being paid for by some people moving from badgercare to federal exchange. Not only will those people moving off badgercare get most of their premiums paid for, but as the economist from MIT stated, it was generous for WI to cover them in the first place. So WI is not getting influx of more medicaid dollars… but it’ll get more in the way of individuals getting tax credits directly from the fed gov. There’s probably a difference in amounts, but it won’t be THAT big. At least Walker stuck to his ideology that is the most important thing. imitation just because Christmas is over. Chuck C- You mean the matching percentage dropping from 100% to 90% in 3 years is cause for concern for you? That still would beat the daylights out of the 58% that Wisconsin’s getting right now, and cover more people. Try a new talking point. There’s a reason why Minnesota has been destroying Wisconsin in job creation. And the Medicaid issue is an example of the bigger issue- one state cares about results, the other cares about striking poses for talk show listeners. And oh yeah, Minnesota is giving real property tax relief while investing in K-12 schools. So guess which place is going to have a better labor pool in the future, making it very attractive to businesses. It ain’t us. By the way, before someone jumps in, the “58% match” figure comes from the Wisconsin Budget Project, who bases that estimate starting in September 2014 using current formula. It also notes that there’s a $52 million hole in Wisconsin’s Medicaid budget as it stands now, and we’re not even mentioning the 83,000 that have to wait another 3 months for coverage due to the bill passed earlier this month by the Legislature. I love the republican comments Minnesota can have the poor. Now how sick is that. Run your state into the ground and bankrupt it so it goes bankrupt like Detroit. Then walker will sell the artifacts to david Koch for a no bid $1 sale. Walker knows if he just stays out of a jail he will be pampered by Koch for life. Wisconsin goobiner is like in all john wayne movies the dirty politician. Koch`s Russian tea party folks never grew up in America and witnessed john wayne. American children know by 4 year old because of john wayne. walker is evil and so is all of his kind. John Wayne always kills or arrest the walker and Koch of each movie. republicans today are so uninformed they never even watched john wayne. No wonder they have NO AMERICAN VALUES.